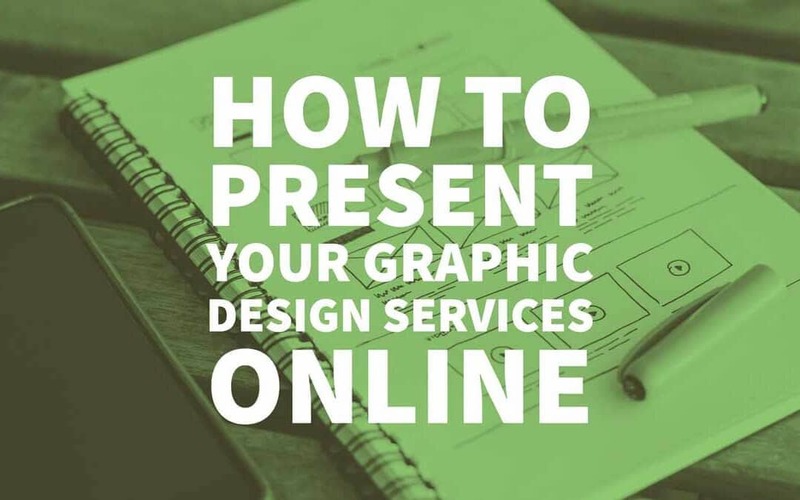 This guest post will give you some tips on how to Prepare an Effective Online Presence as a Graphic Designer. At first, you may expect that promoting your graphic design services online will be a walk in the park. You may even imagine yourself reeling in clients by the boatload, all of whom are willing to pay big bucks for your designs. However, as reality begins to set in, most graphic designers quickly realise that it is not that easy. The truth is that graphic design is highly competitive, and trying to land clients and convince them you are worth the price is challenging – to say the least. It is certainly possible to be highly successful as a graphic designer online – but to pull it off you will need an active online presence. The good news is that as a graphic designer there is arguably no one better to prepare that presence. The cornerstone of your online presence is undoubtedly going to be your site, and it will be the platform that you use to showcase your designs and advertise your services. Seeing as the primary goal of your website is to land clients interested in hiring you for your design services – a graphic design portfolio style is perfect for the task. It will allow you to prominently display your designs, and also give clients the opportunity to browse through them. All too often graphic design websites contain a scroll of designs, with no real way to navigate them. Potential clients may only be interested in particular types of design are forced to look through tonnes of other work before finding what they want. Needless to say, that is not appealing – so try to organise your portfolio and make it easy to navigate. Never underestimate the power of social proof and be sure to include samples of your previous work along with testimonials from the clients that commissioned them. A strong portfolio will glowing testimonials will be able to command much higher rates than one without them. Although the focus of your website should be your work, having a small bio along with a picture of yourself will do wonders. Having a photo will make potential clients feel that they are dealing with an actual person as opposed to a nameless and faceless entity on the internet, and that is known to boost conversion rates. Always remember that the primary goal of your website is to obtain clients – and that means convincing them to contact you to discuss their needs and get a quote. Having a ‘Get A Quote’ button is useful, but you need to make sure it is placed strategically so that should a client happen even to consider hiring you – the button is right there for them to click. In other words, it should appear throughout your website, above the fold, and maybe even again at the end of the page. As important as your website will be – your presence on social media is just as important too. Many graphic designers have thrived on some of the more image-oriented social media platforms, with Instagram being the obvious choice. You should not ignore Facebook or Twitter either – or LinkedIn for that matter. Your aim on social media should be twofold: To draw the attention of potential clients, and then channel them to your website – or perhaps even directly to a contact page. When you are coming up with a social media strategy, be sure to play to the unique nature of each social media platform. For example, you may want to focus on a brand-oriented page on Facebook, a resume on LinkedIn, a platform for connecting with corporate figures on Twitter, and so on. Decide how you are going to approach each platform in advance so that you can concentrate your efforts accordingly. On many social media platforms, you are allowed a certain amount of customisation – such as a profile picture, header, or perhaps even colour scheme. Where possible try to use these spaces to include your designs as well. Unlike your website’s function as a portfolio, social media will play a different role – and to attract people and build up a following your focus should be on providing high-quality content. That can consist of posts about the designs that you are working on, behind-the-scenes exposes into your workflow, or even collections of designs from others that interest and inspire you. Although the majority of your content may be images, it does not hurt to add the occasional video here and there too – as those often perform extremely well. One method of creating exciting videos to promote graphic designers on social media is by using Movavi Screen Capture Studio for Mac. It is a record screen on Mac that will let you record content from your screen – so you can use it to record yourself while you are designing and create a video that showcases the process as well as the results. Part of the beauty of Movavi Screen Capture Studio for Mac is that it is easy to use, but still, provides a broad range of features. In particular, it will let you edit your video so you can cut and join video segments, improve the video quality, include background music, or even add stylish animated transitions to your videos. 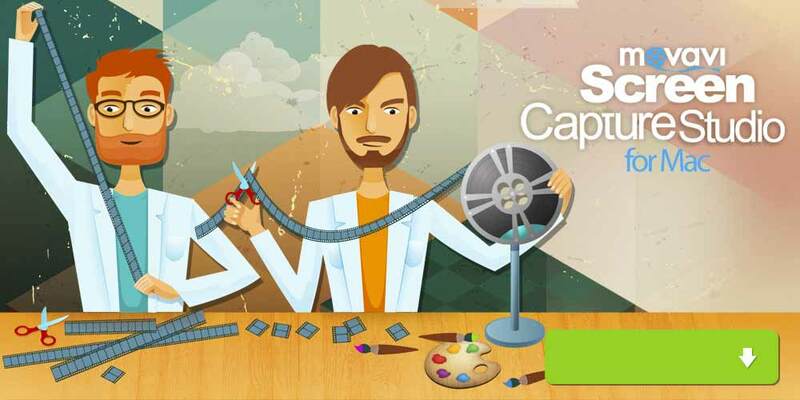 In short, you should have no problem creating attractive and professional-looking videos using Movavi Screen Capture Studio for Mac. Considering how well videos perform on social media, that should help you to get your designs noticed and reel in potential clients.